A good night’s sleep is very important especially with the hectic lifestyles we all seem to be living these days. It is very important for our bodies to recuperate because of the stress that life adds to our lives. These tips to get better sleep might just help you as they have helped me. Exercise: Oh the dreaded E word. If you get regular exercise and follow an exercise routine you will sleep better. Just make sure you don’t exercise close to bedtime, as it may do the opposite and actually keep you awake. I refuse to say anything more about this swear word. 🙂 If you want you can check out How to lose weight at home for a different way to exercise. Make your bedroom fit for sleeping: The best environment for sleeping is a bedroom that is dark and quite; it should also be just the right temperature. If you can, get dark curtains, to ensure a dark room when the lights go off. The bedroom should be as quite as possible, if this is not possible, consider getting some ear plugs. The right temperature is something that is depended on each individual; you have to work out what feels comfortable to you. It should not be so cold that you shiver more than you sleep, neither should it be so warm that you sweat at night. Relax: If you are stressed and worried about something, you will not be able to sleep; your mind will not be able to come to rest. Just as mentioned in number 2 above, you need to wind down; relax. Do something that will relax you; read a book, warm bath, watch a political debate, or whatever else works for you. Just don’t work or pay the bills just before bedtime, these are sleep breakers. Just free your mind and relax. Bedtime routine: Follow a bedtime routine every night when it gets close to your bedtime. Do the same thing every night in sequence, just wind down. Maybe you like reading, and you can read a little. You could also listen to relaxing music. Watching some television can also help, as long it is something relaxing and not the latest horror movie. When you are ready to head to the bedroom, follow the same hygiene routine as you would normally do, but do the same things every night, and then turn off the light. What works for me is; after I am done working I play video games for an hour or so, then watch a little TV, then do the normal hygiene things. (Brushing teeth etc.) Then ZZZZZZZZZZ. Sleep Schedule: It is very important for your ‘internal clock’ to follow a regular sleep routine. This means that you go to bed at the same time every night and wake up the same time every morning, even on weekends. I think most of us are a little guilty of the last part, isn’t weekends designed for us to sleep a little later and wake up later. (like maybe midday) Seriously though, if you manage to ‘train’ your body to be used to going to sleep at the same time every night, you will definitely sleep better because your body will have a cut off time. Remember, 7 to 9 hours sleep per night should be your target. Extra pillows: If you struggle with back pain, try placing a pillow between your knees, so you can comfortably sleep on your side. This will take pressure off your lower back and relieve some of the pain you may experience. I have chronic back problems, and this trick works perfectly for me. Take a walk: If you are struggling to fall asleep, get up and take a walk or do something different for a short time, you will soon feel ready to go to sleep again. If you just lie in bed and hope that you will soon fall asleep, you will become more tensed and worried about not sleeping, and have less chance of falling asleep. I promise you; looking at the clock every few minutes wondering when you will fall asleep, is not going to help you fall asleep. Just take a walk. These 10 ways to sleep better is by no means complete, and there are still many other things you can do to naturally improve your sleep, but this article is only intended to show you some of the things that works for me and that can help you. 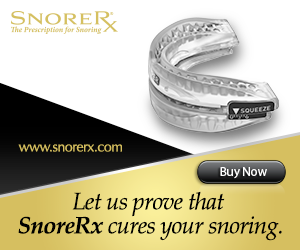 Try them and find out if they improve your sleep. Let me know of any other remedies and tips you might know of. I am glad the article was helpful, and I hope the tips can help you get some quality sleep. There are some things in the article that I have successfully used for many years to help me get better sleep.